St. John’s Cathedral is one of the oldest Anglican Church in Central America. The orange bricks came to Belize aboard British ships as ballast. Construction began in 1812, and the church was completed in 1820. Step inside the Cathedral of St. John the Baptist - a building rich in 200 years of history and fellowship. 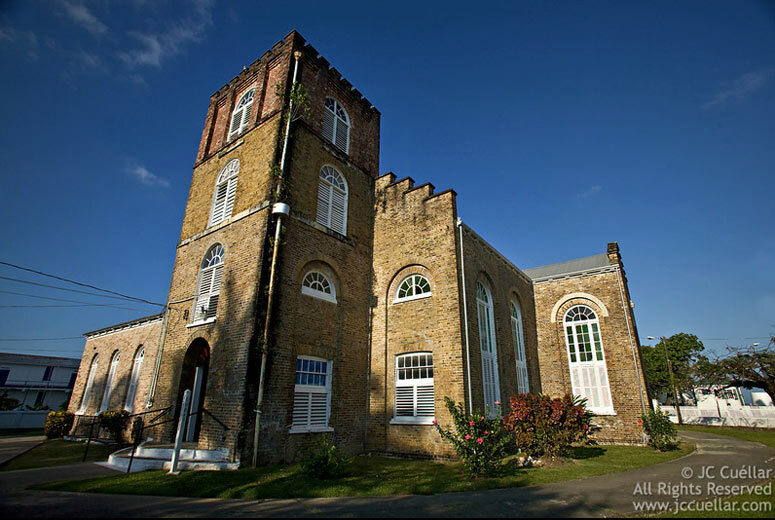 Located in Belize City, Belize (Central America), the building is open to the public for worship and tours. In this "2 Cents Cam", we interview residents of Belize City to document the heritage and history of St. John's Cathedral. At a public meeting held on February 11, 1811, at which 33 persons were present, a resolution was passed that a Church be built of imported bricks measuring 50 feet by 80 feet located on the South Side of the City on a property that was used for the marching band. 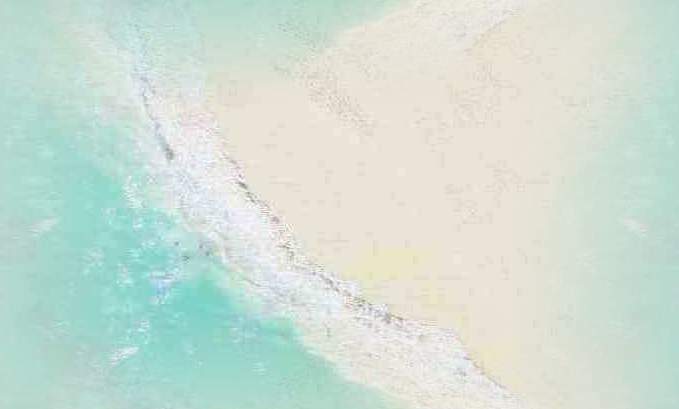 The property measured 202 feet (North to South) and 272 feet (East to West). The property was bounded on the South by the Public Ordinance Store, on the North by a narrow street and Mr. McLennan’s and to the West by Sarah Neal and Benjamin Longsworth’s property. On the historic twentieth day of July 1812, the King’s representative, Lieutenant Colonel John Nugent Smyth laid the foundation stone of the first church to be built in British Honduras. The historic date herald a new era in the religious life of the settlement and Spanish America. The Church of St. John the Baptist was to become the first Protestant Episcopal Church in Spanish America. 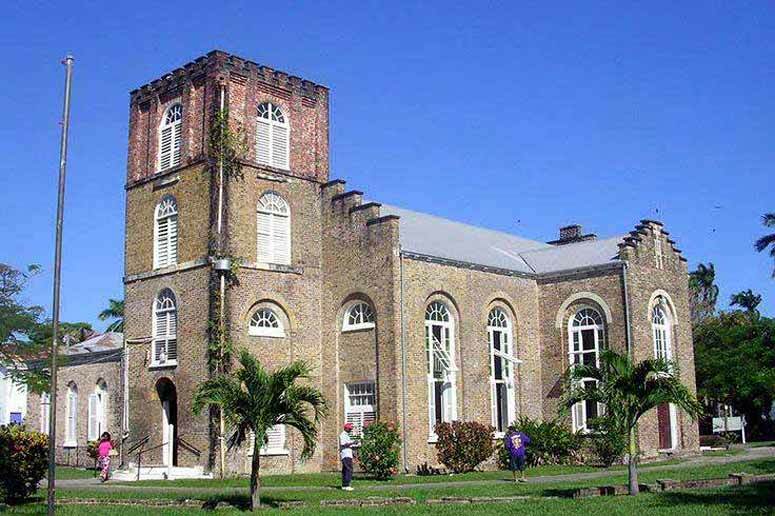 Prior to 1812, the settlers conducted services at St. Georges Caye (1775 -1779), then near the Court House, and prior to the construction of the new Church, at St. John’s Church located on Church Street. St. John’s is the only Anglican Cathedral in the world outside of England where the crowning of Kings has taken place. Three Miskito Kings were crowned there. The first Miskito King, George Frederic, was crowned on January 18, 1816. The second, Robert Charles Frederic, was crowned on April 23, 1825 and the third, George Augustus Frederic, on May 10, 1845. George Augustus was brought to the settlement for his coronation from Nicaragua on the H.M.S. Hyacinth. It is interesting to note that the walls of the Cathedral do not record his coronation, but the death of the H.M.S Hyacinth’s Officer, Henry Gillard, aged 27 years, which occurred the same day was recorded on a plaque in the Cathedral. Have you ever wondered how slaves who did not possess any experience in brick laying could have built such a beautiful Church? This mystery could be explained based on another resolution that was passed on March 2nd, 1812, forwarding the bill for materials and freight for the building of the Church at 1200 pounds sterling. Soon after that resolution, the Magistrates were informed that the Superintendent of Works and his family, two bricklayers and one apprentice were on their way from Great Britain at public expense. It seems that the two bricklayers and one apprentice were the men who did the brick works of the Church and not the slaves. 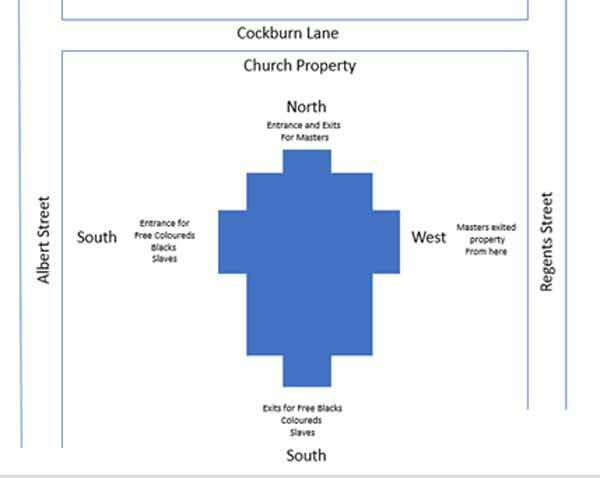 The main contribution the slaves made was that they had the arduous task of hand carrying the bricks (The bricks came as ballasts of ships), which were offloaded behind the Court House and carried to the Church’s construction area, a distance of ½ mile. Once the Church was completed, slaves were allowed to attend services, but even then, their segregation was the order of the day. They were allowed to enter the Church through the door in the West and exited through the door facing the South; the masters entered through the door on the North and exited through the same door. The masters departed the Church’s compound through the gate which was in the East facing the Governor’s Residence. As part of the rejuvenation to occur in Downtown by the Belize City House of Culture and Downtown Rejuvenation Project, the Project will invest in the repairs of critical areas of the church to make sure that it continue to stand as a beacon of our history for the next two hundred years and beyond.